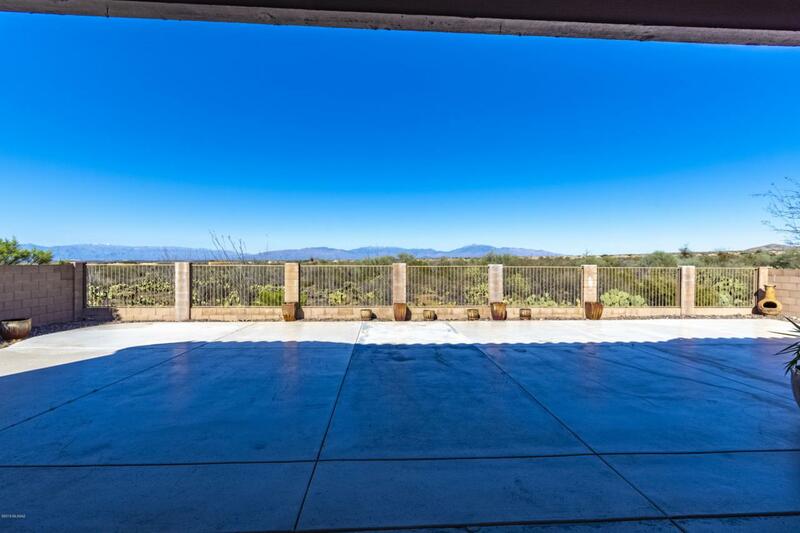 Beautiful semi-custom 2294 SF home is nestled on a .81 ACRE lot that backs to a natural high desert preserve with no homes behind. Step inside the front door and you'll see the ''Knock Your Socks Off'' mountain VIEWS through the picture windows. Open great room floor plan boasts 3BR/2.5 BA+FLEX area (den or dining). 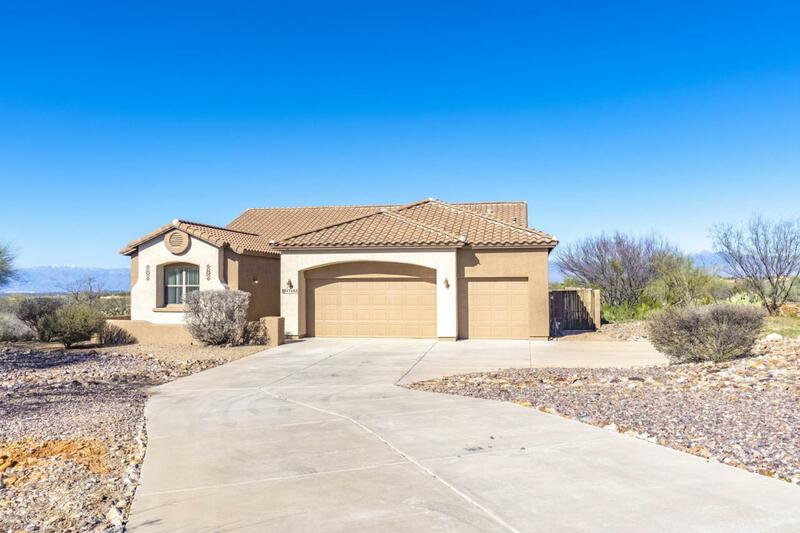 Gorgeous kitchen w/ granite counters, SS appliances, extended hght cabs w/pulls and brkfst nook. Pretty neutral tile, high ceilings. Spacious back yard has covered & uncovered patio areas, view fencing & NO common walls for max elbow room. 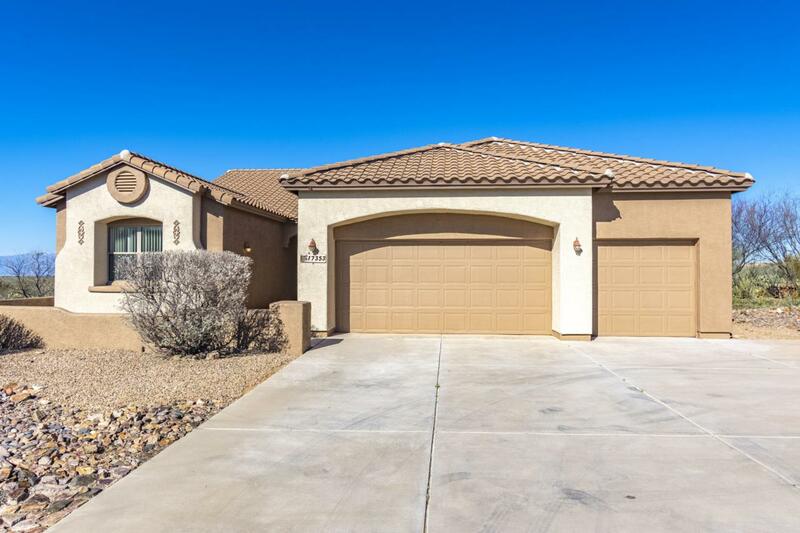 3 CAR GARAGE w/newly coated floors & extra long driveway; ideal for bonus parking. 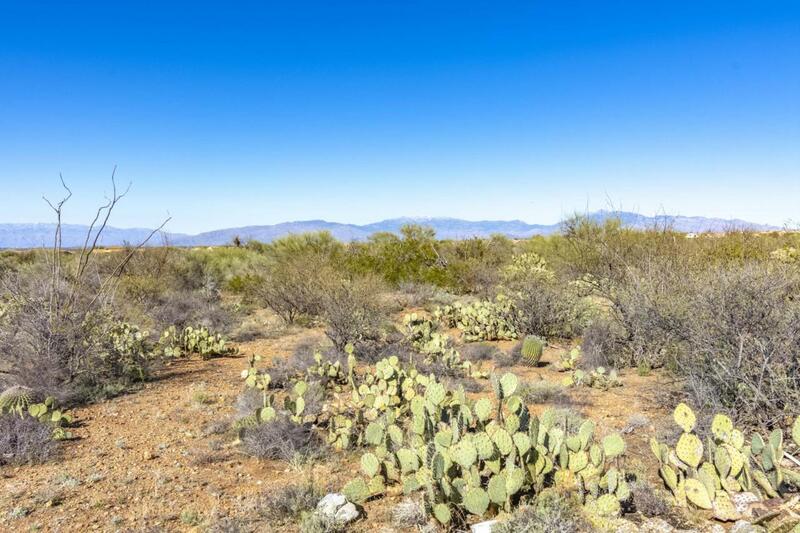 Scenic, quiet Sycamore Canyon community features a pool, park, jogging path, basketball court and miles of desert hiking trails. Top rated Vail Schools.Easy access to Raytheon, Tucson Tech Corridor, DMAFB, Sonoita. Top-rated Vail School District. Come see to believe!